I LOVE this paper! It is so elegant and versatile! You can add any color you want to the black and white to make it pop! 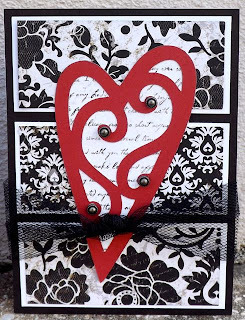 I used the Art Philosophy Cricut Cartridge to make the heart shape on this card! Ruby paper just pops off the card! I used the new Artisan Stud which are self adhesive to bling up the card in an elegant way! Also the Tulle ribbon added the perfect touch to the card! 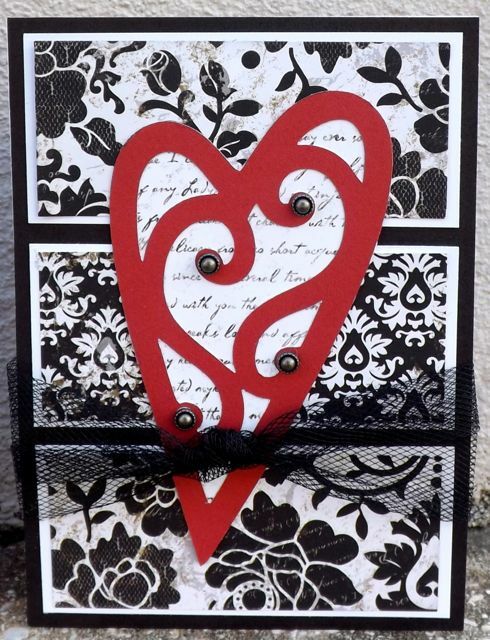 I could use this for a Valentine's Day, Anniversary, wedding card, or for an everyday I love you card! 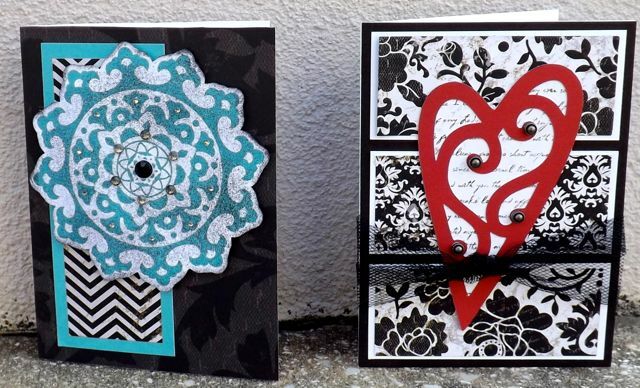 The Pirouette Stamp set has been calling my name since the last Idea Book and this paper screamed for me to use it! 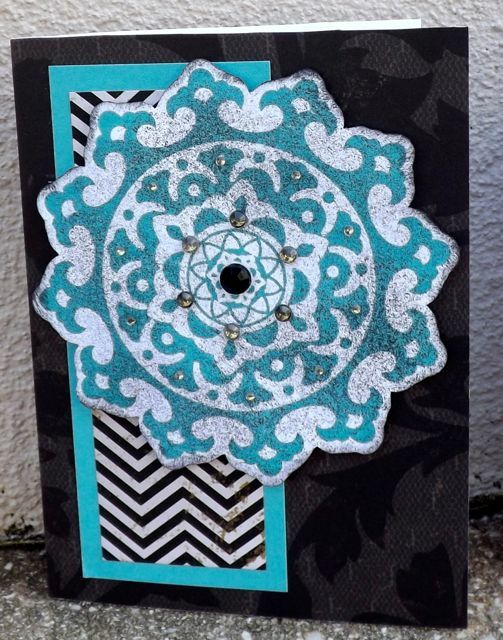 I used the Lagoon paper that came with the paper pack to stamp the Pirouette stamp on the shape I had cut out on the Art Philosophy Cricut cartridge. I love not having to cut out the stamped image! 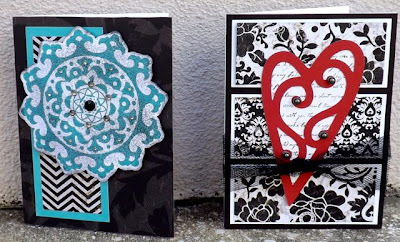 I sponged black over the stamped image so the white paper was well, less in your face white! The final touch was to add Sparkles Black and Grey Assortment!